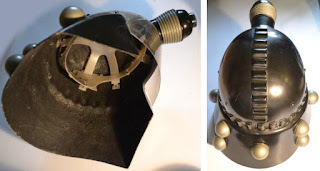 This is an authentic screen used prop from the classic 1984 Doctor Who story, Resurrection of the Daleks - a gun carried by one of Lytton’s Dalek troopers. 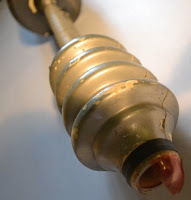 It is constructed from thick plastic with a tubing section, wooden handle inside to carry it and opaque red ‘laser’ at the end – in common with most of the other guns built for this story, this small red plastic piece has got damaged over the years (most of the broke during filming, they’re very fragile!) 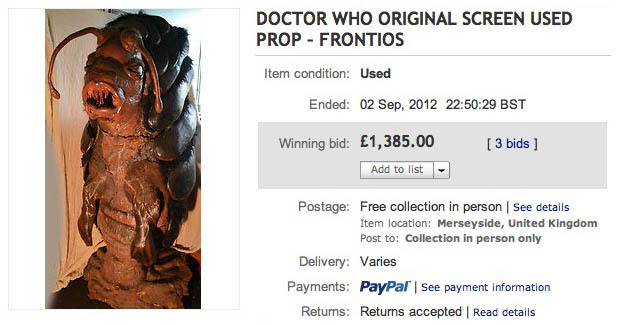 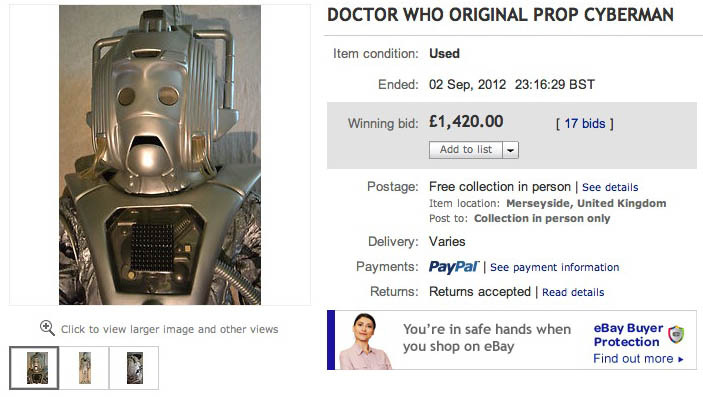 but on the whole this prop is in excellent condition. 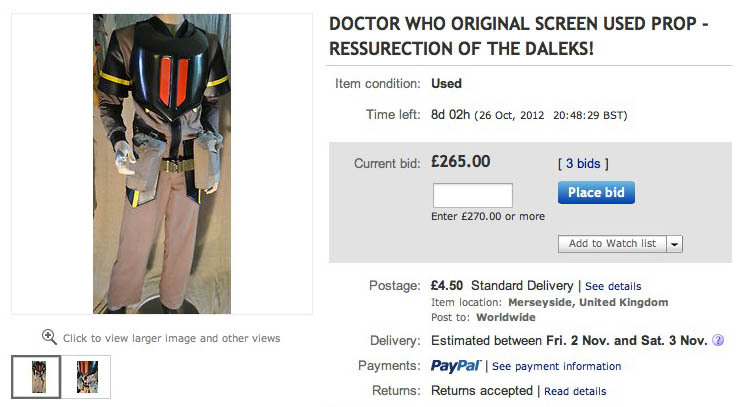 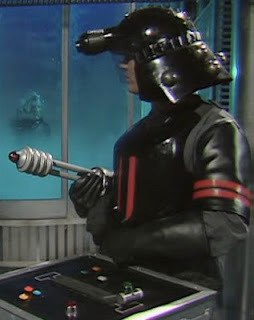 This is a part costume as worn by the Dalek Troopers in the classic Doctor Who story Ressurection of the Daleks. 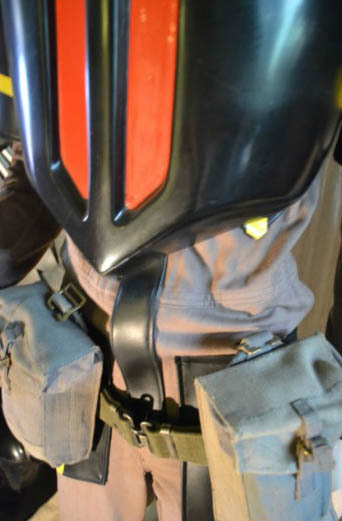 It consists of a fibreglass chest and back plate which hooks over the shoulders, a coverall with 'leather' details to front and shoulders, and a pouched belt which buckles at the front. 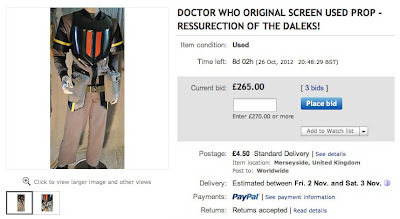 The coverall has the name 'Lindsay Turner' written in ink inside the neck. The mannequin is not included with this Lot. It was assembled from various sources, including a Longleat auction which I believe is where the coverall came from. This is the best surviving example of a Tractator, the monsters featured in the classic 1984 Doctor Who adventure, Frontios. 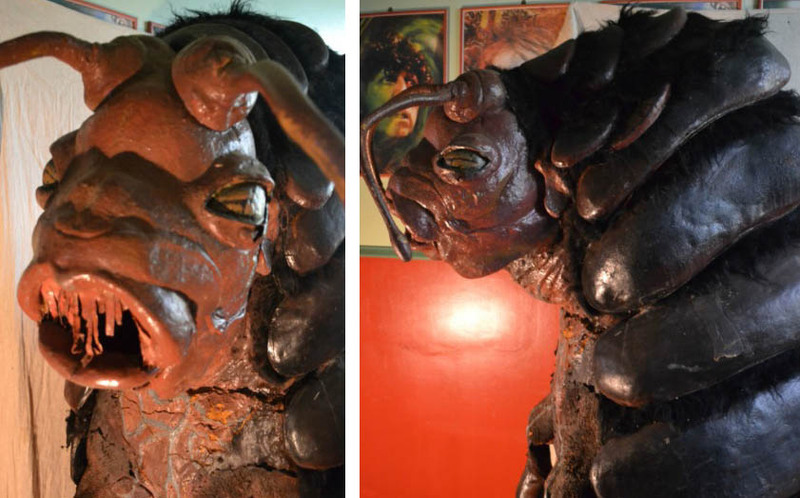 It is constructed from latex, foam rubber and fibreglass, and is in remarkable condition for a prop of this age. 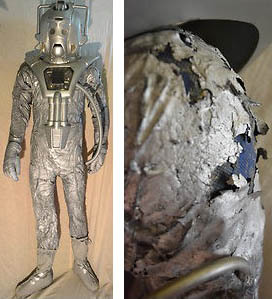 It was displayed at several Doctor Who exhibitions over the years and there is some age-damage to the foam latex at the base of the prop. 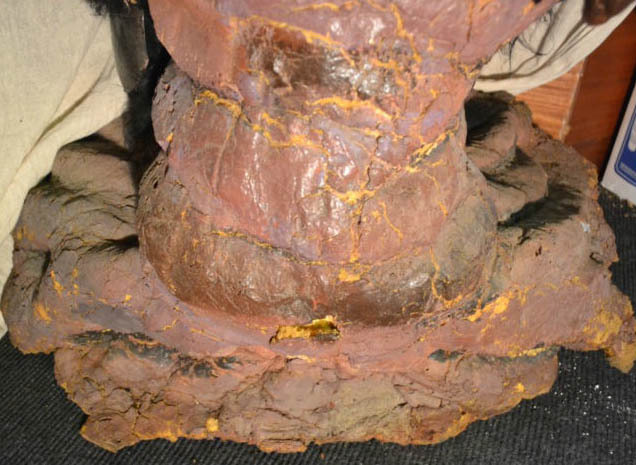 However, this has been halted by remounting the creature on a slightly taller base which holds this skirt section clear of the floor. The rest of the monster is in excellent condition.